This week, I share some Realskiers.com subscriber perspectives I found instructive, on pedicures, gloves and proper ski size selection, with my responses appended. I may have “discovered” something that can benefit all skiers! There is no question for me as to the benefits of proper bootfitting. Yet in all I’ve read there hasn’t been a mention of good foot hygiene let alone the value of a pedicure. I think I am on to something that will improve the feel and comfort of my feet in my ski boots. You need a pro. A pro gets a near perfect cut; hell, the young lady went to town on one of my big toenails with a Dremel tool to smooth the surface! The heel and front bottom of foot callouses are sanded down removing layers of old dead skin. Your feet get cleansed, oiled and massaged much better than you can do for yourself. No matter how well the boot fitter did getting everything just right, a pedicure makes it all come together to bring the feel of the fit up a couple of notches to absolute perfection. Let me be the first to make recommendations about gloves. Gloves are essential. Just as the foot-boot-ski interface is crucial, the hand-glove-ski pole handle connection is important. Nobody talks about it, but it does make a big difference. If you count up the number of times you make a hand/pole correction to right yourself while skiing, you’d be astounded, as am I. Ski poles and their contribution to staying upright are under-appreciated. 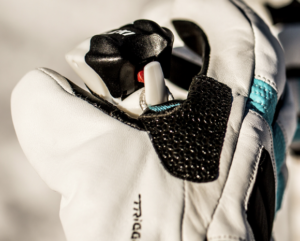 Why wouldn’t you want the best hand/glove/ski pole interface possible? That glove thing is really important. Sometimes the demo process is frustrating when shop employees cannot separate their opinion and what part of the mountain they prefer from what I am interested in. The process can be further complicated if a variety of lengths are not available. 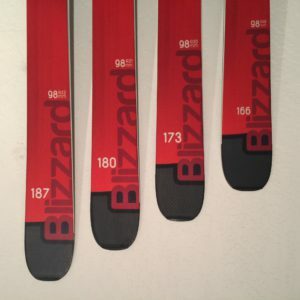 For me, a final confidence booster when choosing the correct ski is like trying on shoes – one is too small, another too large, before finally finding one that fits. If shops don’t have what I’m interested in, the next step is online shopping. I am confident in Realskiers’ reviews, but the issue of ski length remains a question mark. 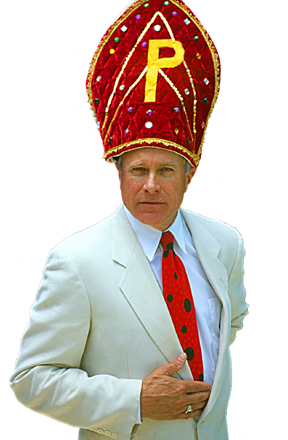 Some manufacturers have on-line estimators and the industry has recommendations (chin, eye or forehead height) and I am sure testers have opinions, but when do height and weight and other variables come into play? In a nutshell, is it possible, practicable or is it too complex to have length recommendations in the reviews? I wrote at length on this subject earlier this season (Measuring Up) but stopped short of issuing a set formula because there are indeed many variables to consider in addition to the primordial data points of weight and height. Attitude is a hard factor to apply a scale to, yet how much a skier intends to charge the fall line has to be taken into consideration. Terrain preference is obviously an element in the equation, and you can’t dismiss the effect of double-rockered baselines on length selection.